For the ladies, we've done three HD video reviews of standout REV'IT! jackets designed, cut and constructed exclusively for a woman's curves and contours. There are three jackets here, each with their own unique style and application, from the retro vibe of the urban REV'IT! Ladies CR Jacket to the highly technical bombproof ADV touring REV'IT! Siren Jacket. We'll start off with our video review of the REV'IT! Women's CR Leather Jacket & REV'IT! Womens CR Textile Jacket. technical apparel that looks great on or off the bike. The REV'IT Ladies CR Textile Jacket utilizes a high-denier water-resistant PWRShell polycotton outer shell with Lorica detailing. It has the same fit as the leather version, a city-cut with flaring to accommodate a woman's shape. There is a detachable thermal vest liner and Knox CE armor along with an upgradeable EVA foam back pad. There are three adjustment areas so the proper fit for riding can be achieved. 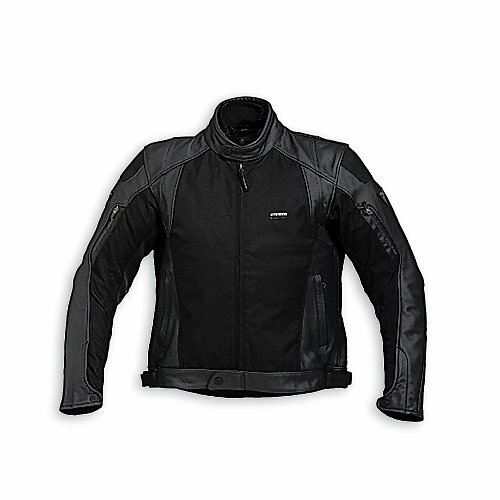 This is a great companion to the leather version, built as a three-season (Spring-Summer-Fall) technical textile jacket. Next we take a look at the REV'IT! 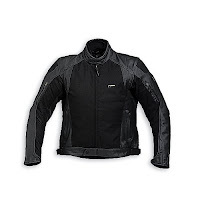 Womens Ignition Jacket. 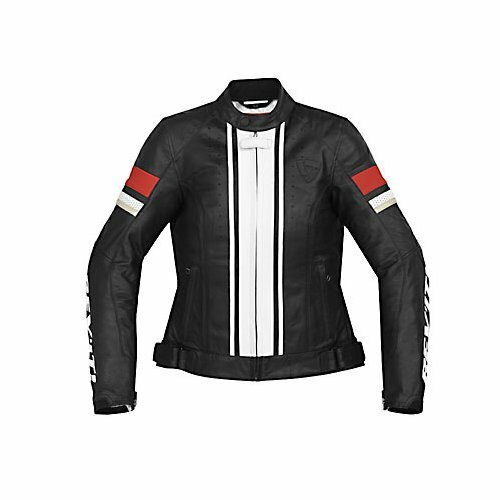 The Ladies Ignition is loaded with features and functionality as a three-season sport touring leather/textile jacket. It is constructed from Monaco Performance cowhide with durable Dynax mesh that breathes well but also offers much more abrasion resistance than normal mesh. There is Keprotec stretch paneling for comfort and flexibility in addition to draw straps for adjustability. Like the CR, the Ignition has a detachable thermal vest liner that can be zipped out when the temperature rises. ProLife CE 2 protection is in the shoulders and elbows with an upgradeable temperfoam back pad. One of our favorite features of this jacket is the removable Hydratex liner, a 3-layer waterproof breathable membrane to keep you dry when it rains but also allow your perspiration to pass through. 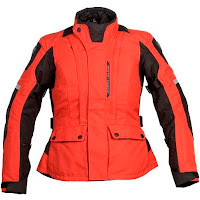 This is simply an excellent sporty option for the lady that likes to the take the bike out for touring rides in the Spring Summer and Fall. Finally, the REV'IT! Siren Jacket. The Siren is the ladies-specific version of the men's REV'IT! Dragon Jacket and offers the same level of all-season all-weather technicality and performance as its brethren. Constructed from a 750D PWRShell with 1000D Cordura reinforcements and ProLife CE 2 shoulder and elbow armor, the outer shell offers great protective qualities. The Siren has a dual liner system for waterproofing and insulating; the inner liner is detachable and thermal, the second liner is a detachable Hydratex waterproof breathable liner. It is also a stylish destination layer that can be worn standalone off the bike. And with both liners out and the vents open, you'll get decent airflow on hotter days. There are plenty of pockets for storage and REV'IT! of course has the creature comforts like stretch paneling for flexibility and a comfort collar that feels soft against your neck. This is an excellent all-season all-weather ADV touring choice for the ladies. That rounds up our three REV'IT! ladies reviews of the day. Check out all your options by visiting our Women's Motorcycle Gear section.